One more time. 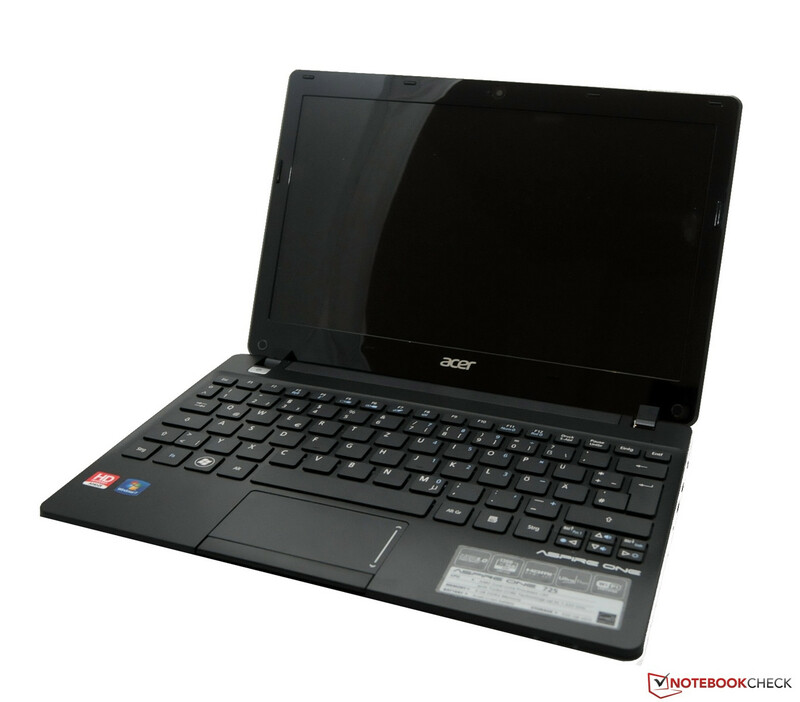 The Acer Aspire One netbook series has a new entry, the Aspire One 725. This new netbook features an AMD C-60 CPU, integrated AMD Radeon HD 6290 graphics card, and an HD display. Are these features enough incentive to buy this 11.6-inch netbook? Has Acer learned from the series’ previous mistakes? A few short weeks ago, we tested the Acer Aspire One 722 in our laboratory. Acer has now sent us another netbook, the Acer Aspire One 725. 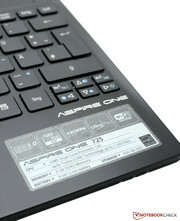 The One 725 uses the same AMD C-60 processor and AMD Radeon HD 6290 graphics card used in the previous Aspire One 722. The dual-core AMD C-60 has a 1.0 GHz base clock that can be dynamically overclocked to 1.3 GHz using AMD’s Turbo Core technology. The processor-integrated AMD Radeon HD 6290 has a clock speed of 400 MHz and supports both DirectX 11 and Shader Model 5.0. As was the case in the previous Acer Aspire One 722, the Aspire One 725 uses a glossy display. Our test system has 4 GB of RAM instead of the 2 GB of the previously tested Aspire One 722. The notebook does not have an internal optical drive. In this review, we compare the 11.6-inch Acer Aspire One 725 to the preceding Acer Aspire One 725, specifically the Aspire One 725-C62kk. The case of the Acer Aspire One 725 has only changed minimally when compared to the preceding Aspire One 722. One of these changes is the display lid which no longer has the prominent, stylish water drop pattern that was previously used. Instead, the case now has a simple, monochromic design available in either Volcanic Black or Caribbean Blue. In our testing, the case appeared to be relatively stable and only under significant specific pressure did the case materials begin to flex. The display hinges also performed well. The display lid has a very wide maximum opening angle of 150 degrees, impressive for the 11.6-inch notebook. On the other hand, we found the sharp edges of the device, especially around the LAN port where one might get cut, to be less favorable. The device’s physical dimensions – 1.2 kg (2.6 pounds) and 11.6-inch width – make the netbook well-suited for mobile use. While the case may not have changed, the connectivity has. The Acer Aspire One 725, when compared to the Acer Aspire One 722-C62kk, exchanges a USB 2.0 port for a speedy USB 3.0 port, leaving two standard USB 2.0 ports. On the other hand, the independent audio input and output jacks of the Aspire One 722 have been merged into a combination audio jack for the Aspire One 725, a change we consider for the worse. As a result, headphones and a microphone cannot be used simultaneously. All ports are distributed along the sides of the netbook. The Acer Aspire One 725 has one major highlight in its communications options, namely its Bluetooth 4.0 module. 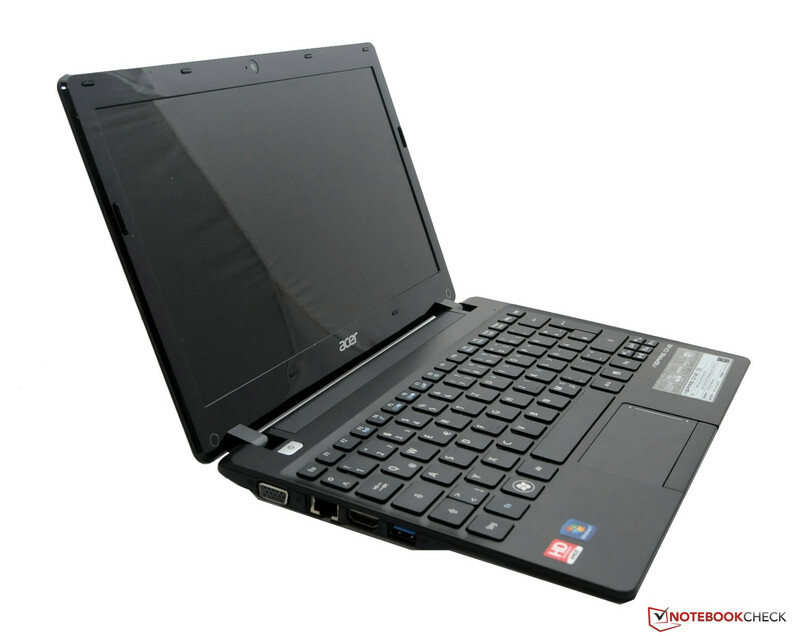 Only a few netbooks, such as the preceding Acer Aspire One 722-C62kk, provide this current standard which both consumes less power than previous Bluetooth versions and increases the effective range of Bluetooth communications to 100 meters. Unfortunately, the 11.6-inch Aspire One 725 does not support Gigabit LAN. Instead, users are limited to the Fast Ethernet speeds of 10 and 100 Mbit/s supported by the Realtek PCIe FE Family Controller. Wi-Fi is provided by the Atheros AR5BWB222 Wireless Network Adapter. The Aspire One 725 is not equipped with a UMTS (Universal Mobile Telecommunications System) module. The Acer Aspire One 725 comes with only the bare necessities. The netbook comes with its battery, an AC adapter, and some printed documentation. Even by netbook standards, the Aspire One 725 comes with a very short 12 month warranty. A 24 month warranty is typically standard for this class of devices. While the preceding Aspire One 722’s warranty could be extended by 12 or 24 months for a premium of 45 or 89 Euro ($55 or $109 USD), Acer’s website does not provide any information regarding warranty extension for the Acer Aspire One 725. The Aspire One 725’s chiclet keyboard shows only slight changes when compared to the keyboard from the Acer Aspire One 722-C62kk. The gaps between the keys have been increased and the individual keys have grown to a size of 19 mm (0.75 in). 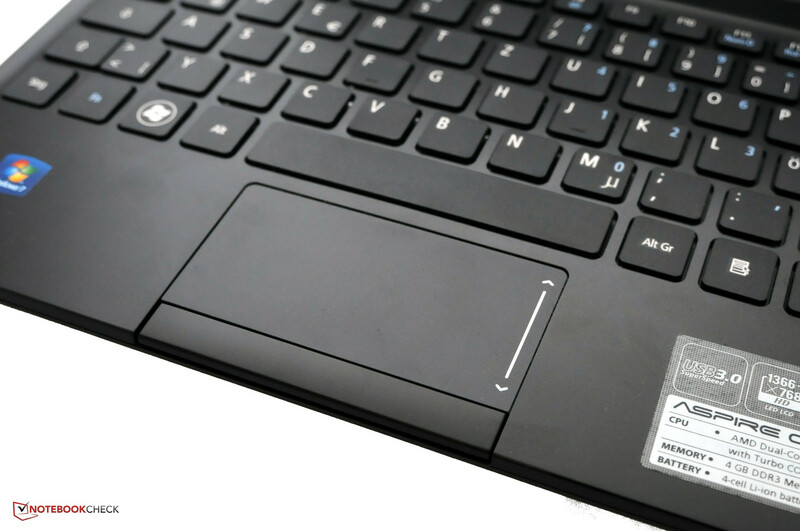 The arrow keys, as is the case with many netbooks, remain small. On the down side, we found the whole keyboard yields to selective pressure. As well, the keys themselves have relatively undefined pressure points and their key travel is also quite short. 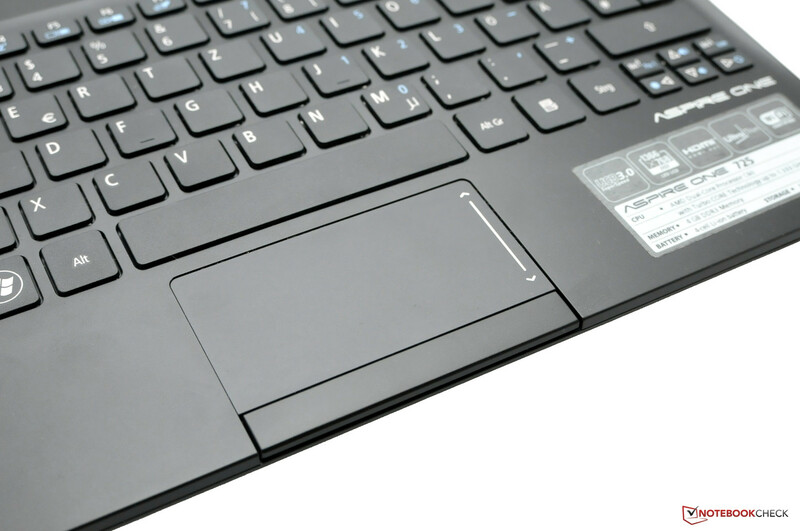 Whereas the keyboard showed slight changes, the touchpad is essentially identical to the one used in the Acer Aspire One 722-C62kk. While the touchpad is sufficiently large and has good gliding properties, we found the single bar used for both mouse buttons to be less pleasing, and we would have preferred two separate buttons. With its glossy 11.6-inch 1366x768 display, the Aspire One 725 has a similar display to that of the previously reviewed Aspire One 722-C62kk and is one of the larger netbooks we have tested. In our tests, we measured an average brightness of 210.8 cd/m2, a maximum brightness of 223 cd/m2, and a relatively balanced 91 percent illumination. By comparison, the preceding Aspire One 722-C62kk did better with a maximum brightness of 261 cd/m2. While the brightness is not reduced while operating on battery power, the Aspire One 725’s display is merely average in terms of outdoor suitability, something that could have been improved through the use of a matte display. We measured a relatively high black level of 1.35 cd/m2, yielding a less than ideal contrast ratio of 164:1. 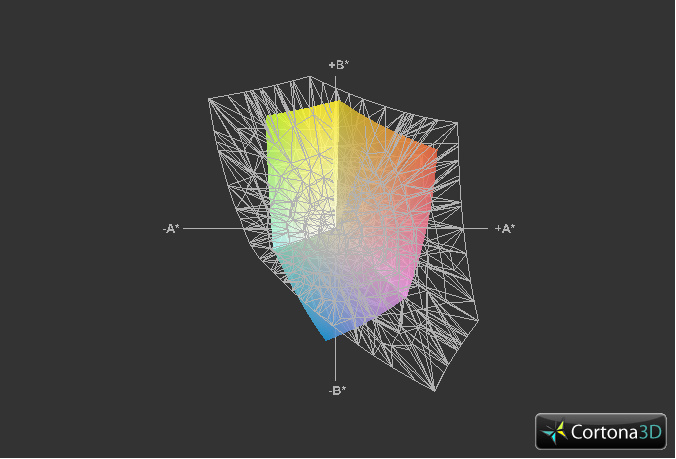 In addition, the sRGB color space was not completely covered in our tests. We tested the combination of brightness and contrast in practical outdoor use. The luminance of over 200 cd/m2 proved beneficial in this regard but was perhaps overshadowed by the glossy display. Text and graphics were of limited legibility due to the dominance of reflections in the display. This could have been somewhat mitigated had the overall brightness could have been better. In our experience, devices in this price range typically have weak viewing angle stabilities. The Aspire One 725 is no exception and the display showed significant changes to the displayed contents when deviating from head-on viewing in the horizontal axis. In the vertical axis, deviations caused the visibility to break down quickly. 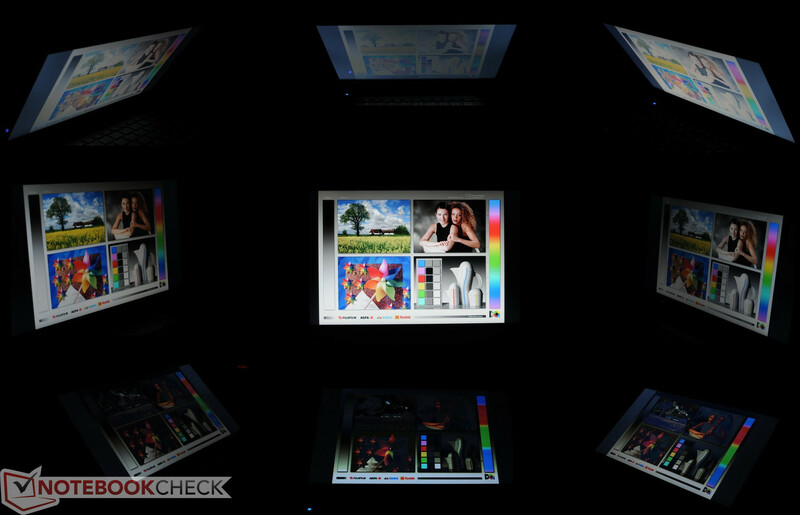 This behavior is demonstrated in the above photomontage which was constructed by photographing the netbook from different angles in a dark room using the same lens and shutter speed for each angle. 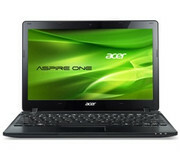 As with the Aspire One 722-C62kk, the Aspire One 725 uses the dual-core AMD C-60 processor. With a 1.0 GHz base clock, the processor can be dynamically overclocked to a Turbo Core boosted 1.3 GHz clock speed, provided there is sufficient cooling. The mobile processor also has a specified 9 Watt thermal design power (TDP) and a 1 MB L2 cache. 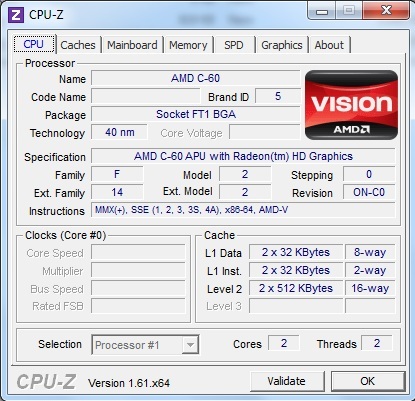 The processor-integrated AMD Radeon HD 6290, with a maximum clock speed of 400 MHz, serves as the graphics solution. This graphics card supports DirectX 11 and Shader Model 5.0. The onboard UVD3 video decoder is responsible for decoding HD videos. The 11.6-inch netbook also comes with 4 GB DDR3 RAM which should be more than enough to handle typical netbook tasks. The storage device is a 500 GB Seagate hard drive. To test the performance of the AMD processor in its own right, we used the Cinebench test suite. In Cinebench R10 (64-bit) Rendering Multi-CPU, the Aspire One 725 scored a low 1388 points, placing the processor near the bottom of our benchmark database. The Acer Aspire One 722-C62kk was 17 percent higher, scoring 1621 points in the same test with the same processor. 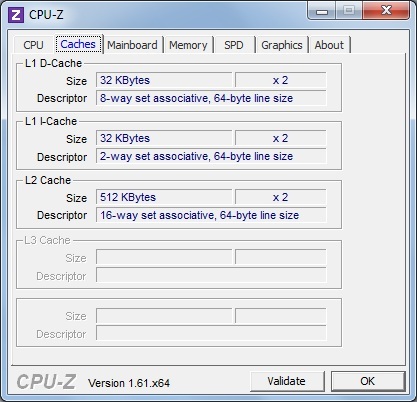 In Cinebench R11.5 (64-bit) Multi-CPU, the results were similar. In this case, the Aspire One 725 scored 0.42 points and the previously reviewed Aspire One 722-C62kk scored 0.03 points more. For the sake of comparison, the Asus Eee PC 1215B-BLK102M netbook with an AMD C-50 CPU scored 0.39 points. We used the Furmark PCMark Vantage and PCMark 7 suites to test overall system performance. With the older PCMark Vantage, the Aspire One 725 achieved a total score of 1523 points. The Acer Aspire One 722-C62kk once again outperformed our test sample in this test with a score of 1782 points. The HP Pavilion dm1-3180eg with an AMD E-35 CPU also outperformed our Aspire One 725 by 50 percent with a score of 2277 points. However, in the newer PCMark 7, our Aspire One 725 scored 805 points and stayed ahead of the Acer Aspire One 722-C62kk which scored 785 points. The similarly sized MSI Wind U270-E4523W7H with an AMD E-450 CPU managed to score 991 points in the same test. For the Aspire One 725, Acer used the 500 GB 5400 RPM Seagate Momentus 5400.6 ST9500325AS. 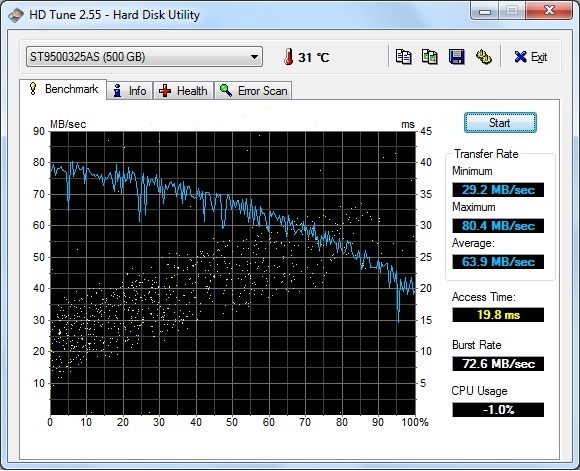 Using HDTune, we tested the performance of this hard drive in our 11.6-inch netbook and determined an average transfer rate of 63.9 MB/s, placing the netbook in the middle of our benchmark database. We also noted that the Aspire One 725 does not have a second hard drive bay. As such, any performance gains would require replacement of the Momentus drive, perhaps with a faster SSD if necessary. An overview of hard drives can be found on our laptop hard disk benchmark list. We tested the Aspire One 725’s 3D performance using Futuremark’s 3DMark test suite. In 3DMark06, our Aspire One 725 scored 1431 points at a resolution of 1280x1024. Using the same graphics card and processor, the preceding Acer Aspire One 722 scored 1595 points, representing an 11 percent performance gain. The 11.6-inch MSI Wind U270-E4523W7H, which uses an AMD E-450 CPU and AMD Radeon HD 6320 GPU, scored considerably better at 2478 points. In 3DMark Vantage, our results from the aforementioned notebooks diverged somewhat. 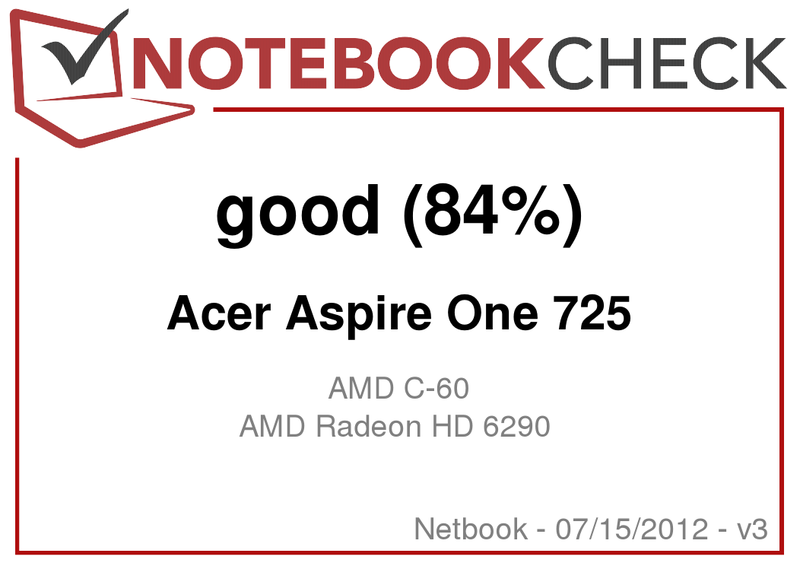 The Aspire One 725 in this review outscored the previously tested Acer Aspire One 722 with scores of 528 and 466 points respectively. On the other hand, the 11.6-inch MSI Wind U270-E4523W7H once again considerably outperformed our test sample with a score of 913, representing a 73 percent increase in performance. With such a score, it is safe to say that the Acer Aspire One 725 is incapable of high 3D performance. As a result, we did not perform any gaming benchmarks. Our extensive database of GPU gaming performance may provide more information. According to AMD, the Acer Aspire One 725’s AMD C-60 CPU, has a very low 9 Watt TDP. In theory, this low power consumption should prevent the netbook from heating up significantly and should not require a lot of cooling. Entering our battery of tests, we were curious if this theory would prove sound. During our office scenario testing, we found the cooling system usually remained inactive and the netbook was a very quiet 32.1 dB(A). Under high load, the Aspire One 725 was also impressive with a maximum observed system noise of merely 34.6 dB(A). As a result, we conclude that the cooling system should not distract the user during operation. As mentioned above, the cooling system remained quiet in our testing, but quiet does not necessarily mean effective. To determine the cooling solution’s actual effectiveness, we measured temperatures at various places on the notebook. During low processing load, we measured maximum temperatures of 32.2oC and 34.7oC (90.0oF and 94.5oF) on the top and underside of the base unit respectively. While these are not particularly cool, these should not be problematic. However, under high processing load during our stress test, the 11.6-inch netbook became considerably warmer. We measured maximum temperatures of 39.3oC (102.7oF) and 43.6oC (110.5oF) for the top and underside of the base unit respectively. The wrist rest never exceeded 32.0oC (89.6oF). While our stress test represents an extreme case, it is nonetheless clear that the quiet cooling system has negative implications in terms of heat retention when the netbook is under high processing loads. 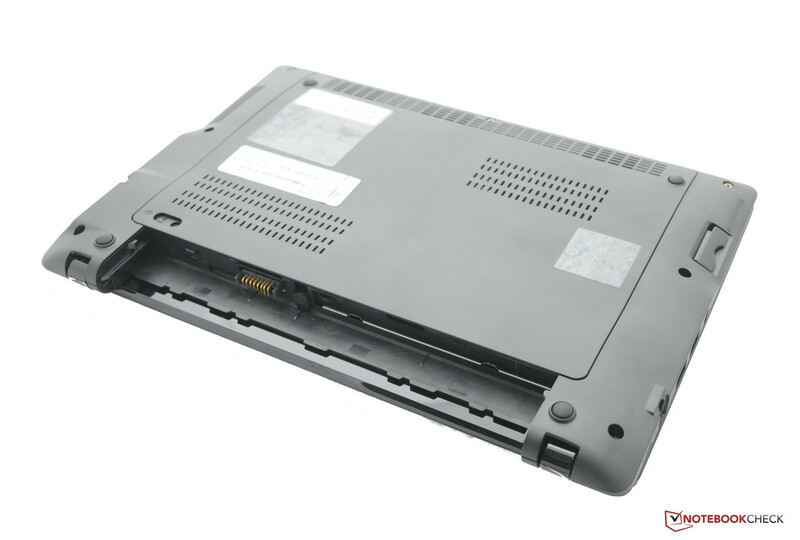 We found that the integrated speakers in the Acer Aspire One 725 were not especially good, as was the case for the preceding model. We would recommend using external speakers for listening to music. The frequency response of the integrated speakers seems very much limited to the high frequency range and bass was completely missing. External speakers can be connected via the 3.5 mm audio jack or by using the HDMI connector. Battery life is based on battery capacity and power consumption. As part of our standard testing, we determined the power consumption of the Acer Aspire One 725. While idle, we observed a consumption of 12.8 Watts compared to 10.8 Watt consumption of its predecessor Acer Aspire One 722 C62kk. Under high loads, the 11.6-inch netbook’s consumption nearly doubled at 23.9 Watts, also considerably higher than the preceding Aspire One 722’s 17.8 Watt consumption. For the other half of our testing, we used three different scenarios and measured battery runtime. In the first test, we wanted to determine the maximum battery life and used the most conservative settings – lowest brightness, Wi-Fi disabled, and the power saving profile. We used the Battery Eater Reader’s Test and measured a runtime of 7 hours and 5 minutes. By comparison, the preceding Acer Aspire One 722 C62kk managed an additional 2 hours of runtime, a reasonable result considering the 6 cell, 48 Wh battery used in the Aspire One 722 compared to the 4 cell 37 Wh battery of our test sample. In our practical test, we enabled the Wi-Fi module and set the display brightness to a pleasant 150 cd/m2. We then simulated Web browsing and observed a runtime of 4 hours and 21 minutes. Last but not least, we used the Battery Eater Classic Test to measure battery runtime using the highest possible settings – highest brightness, high performance profile. In this scenario, the netbook ran out of power after 2 hours and 38 minutes. The Acer Aspire One 722 C62kk lasted nearly an hour longer in this test. In our testing, we observed no significant performance differences between our sample Acer Aspire One 725 and the Acer Aspire One 722 C62kk. In fact, the newer Aspire One 725 is merely a new variant with minor differences. Those buying this new model will once again receive a glossy HD display which will limit its viability in outdoor use. The display brightness could have been a bit higher as well. The one thing that makes the Aspire One 725 stand out from its predecessor is the single USB 3.0 port. The maximum observed battery life of 7 hours is a significant reduction from the Acer Aspire One 722‘s 9 hour runtime. Unfortunately, the weaknesses of the previous model have not been resolved. The soft keyboard still needs improvement and the high temperatures during load are a significant drawback. 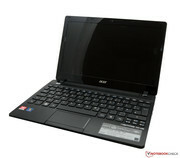 Compared to our reviewed Acer Aspire One 725, a good alternative might be the similarly sized 11.6-inch MSI Wind U270. While the MSI netbook also has a glossy display, it provides considerably more performance due to its AMD E-450 processor. However, the MSI netbook is also more expensive with a list price of 450 Euro ($550 USD). Acer has only changed a few things in the Aspire One 725 compared to its predecessor. 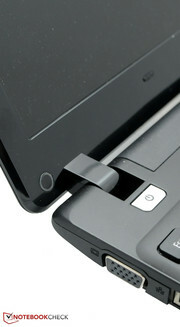 The display hinges perform their task well. Acer has equipped its netbook with a speedy USB 3.0 port. The touchpad is sufficiently dimensioned and possesses good gliding properties. The bottom temperatures reach up to 43.6°C (110.5°F) during high processing loads. The maximum opening angle of the 11.6-inch netbook is very wide. With a weight of 1.2 kg (2.6 pounds) the Aspire One 725 is well suited for mobile use. A matte display would improve the notebook considerably. A glossy 1366x768 display has been selected for the Aspire One 725. The relatively modern features in the Acer Aspire One 725, such as the USB 3.0 port and the Bluetooth 4.0 module. 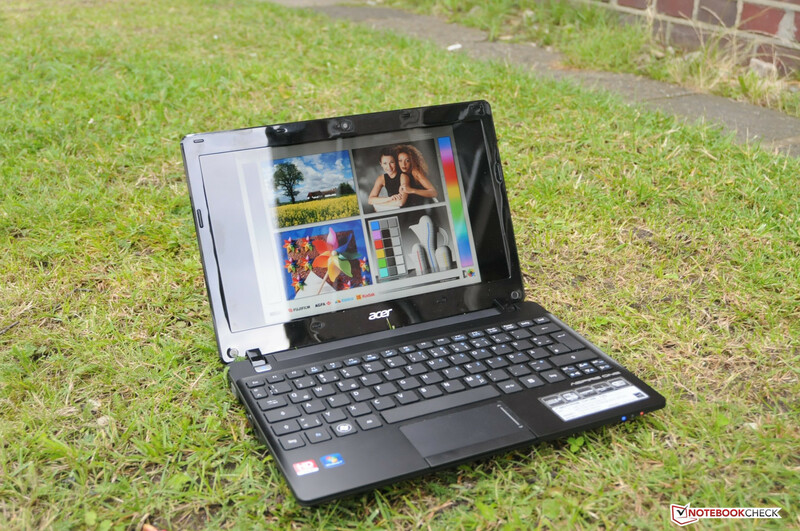 A brighter and matte display is one thing the Acer Aspire One 725 is certainly missing. The reflections are clearly noticeable while outdoors. 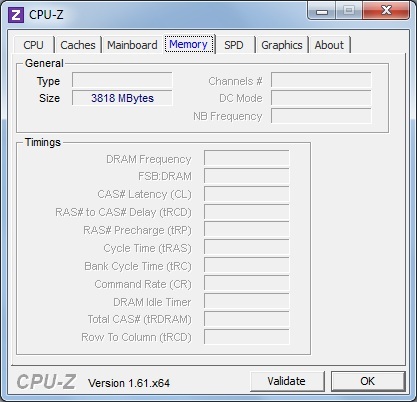 The relatively high case temperatures during high processing loads. This is actually uncommon for netbooks.